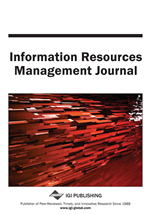 Much academic research on information technology (IT), systems (IS), and management (IM) has been branded by practitioners in business as unusable, irrelevant, and unreadable. Consequently, it is highly unlikely that conventional outlets for such work, e.g. scholarly journals and conference proceedings can receive significant real-world exposure. By reversing the push-pull dynamics of information dissemination and retrieval in the New Media, alternative approaches are emerging. This article presents the history of a case in point with data recorded over a period of 15 months. It is shown that the Internet in general, and the World Wide Web in particular, will be a significant resource in bridging the gap between practice and relevant research.